Over ﻿30% of people have flat feet﻿. I know, I thought I was alone as well. As someone who has gone through the pain of flat, pronating, feet, I know what a good pair of shoes can mean. That’s why I’m sharing with you, my flat-footed companion, some of the best shoes for flat feet. Those of us with active lifestyles know how much of a drag flat feet can be. ﻿Arch pain﻿, bad posture, even conditions like ﻿plantar fasciitis﻿ can really take a toll on your well-being and happiness. Supportive shoes are out there, and the answer to all of our flat feet-related woes. They go a long way in bringing peace of mind to your feet. So, rest easy buddy. Let’s get you support for those ankles. What is a “flat foot”? Simply stated, a flat﻿﻿ ﻿﻿﻿﻿foot is a foot with little to no arch on the instep of the foot. Over time, the ankle can begin to roll inward causing your arches to collapse and become flush with the ground beneath you. This rolling inward- also known as pronation- can cause the ligaments in the arch to stretch unnaturally and can become a painful burden to your everyday life. Your feet are the foundation on which your body is supported. A weak, inefficient foundation (flat feet) can cause problems not independent to the feet. Other affected areas of the body include your ankles, knees, even your lower back. Pain in the arch of the foot can become so bothersome that breaks from intense physical activity may be required. Yet we wish to live a life full of activity and free of pain. Ensuring that your feet are well equipped to handle a long life of activity on foot can work wonders in improving your quality of life. A good pair of shoes with ample arch support can help your feet regain strength. By regaining strength and proper alignment of your arches, your whole body will thank you in the long run. So which shoes are right for you? If you’re trail-runner, you’ll want something with good traction. If you’re a road runner, you’ll want something with high ﻿shock-absorption﻿. No matter the activity, you’ll definitely want a shoe that is firm, supportive, and stable. These features will help improve flat feet and over-pronation. Without further ado, here are the best shoes for flat foot syndrome. The ASICS GEL-Kayano 21’s consistently win big on most running shoe lists. They really win first place in this list due to their dedication to added arch support. The magic is in the extra cushioning. Dense, heavy foam lines the inside of the shoe to prevent ﻿overpro﻿nation﻿ and stabilizes the foot through the heel-to-toe transition. There are even two layers of memory foam that wrap around the heel to secure the foot in place. The gel-lined outsole has great shock-absorption as you hit the ground, and the breathable mesh upper does a great job on top of the foot. ASICS calls it Fluidfit: a mesh that stretches and forms to the foot for a very nice secure fit. Some added benefits include the roomy toe box and no break-in time. The tough treads will allow these to last you through consistent wear and tear. Some may notice that the shoe seems a little heavier than other models, but that’s the price we pay for extra support for our flat feet. In the same vain, the extra cushioning will make this shoe less responsive than it could be. In all honesty, these tradeoffs are slim when you find a shoe as good as the Kayano 21’s. The added support for your arches will aid in adding comfort to your runs. Those details begin to become a bit nit-picky when you realize the benefits of this best running shoes for flat feet. One of my favorite trail-running shoes on the market right now are these Speedcross 3’s from Salomon. 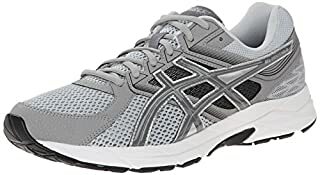 They are some of the best athletic shoes for flat feet. For flat footed individuals like myself, the winning feature on these shoes is the Sensifit upper. The upper has been designed to cradle the foot from the midsole to the lace eyelets. This provides a precise and comfortable fit all the way around the foot. This perfect glove-like fit goes a long way in assisting the feet to stay supported. The ortholite foot bed is helpful as well, but if you need to switch them out for your own orthotics, they will definitely make way for you. The heel is also well-cushioned, helping your feet stay supported. Another impressive feature of these shoes is the tread. The multi-directional Contragrip tread is made for traversing loose gravel, wet rocks, even ice and snow. This kind of traction on a trail-running shoe is almost unheard of. One flaw of these shoes (albeit a teeny-tiny one), is that the upper is not made with mesh. This could mean warm feet after extended wear. I believe you’ll find the plushness and the great look of these shoes more than enough to make up for this flaw. To top it all off, these shoes are stunning. They’re the kind of shoes that make your heart flutter the way it does when you’re falling in love for the first time. No joke. 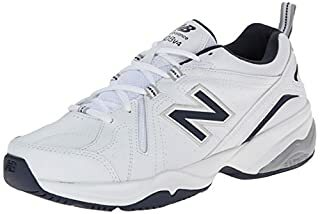 New Balance continues to have the backs of those of us with wide flat feet. The 940v2’s are no exception. They were specially made with shoe technology to help those of us who suffer from flat arches and pronation. These shoes bring the support in a couple of key ways. The first is the T-beam shank which lines the sole of the shoe. It supports the arch from underneath and stabilizes the foot to help reduce pronation. The second is the Stabilicore support system which gives extra stability around the ankle. It simply smooths out your stride. New Balance shoes are known to have plenty of room inside to insert your orthotics, not to mention the roomy toe box. This company takes pride in their wide variety of widths making shoe shopping easy for people with endless foot ailments. Of course, I’m partial to New Balance’s focus on the “wide-foot” market, but not everyone with flat feet has wide feet. For this reason, you may want to try these New Balances in-store before purchasing in case you find the shoe a little too roomy…like you could fit an extra toe or two in there. Overall, these shoes provide fantastic support on the lateral sides of the feet where we need it most. Women, in particular, love these New Balances as they’re the best running shoes for women with flat feet. You can trust New Balance to give the most care and dedication to your foot health. Also, these shoes are​ some of the ﻿﻿﻿﻿best tennis shoes for flat fee﻿﻿﻿t﻿. ASICS is a brand consistently trusted by all kinds of runners. In the GEL Venture 5, they’ve created the best ﻿sneaker﻿s for flat feet﻿ with trail-running stability meant for those who love running through rougher terrain. Trail running involves traversing dirt paths with everything from wet grass, mossy banks, and loose gravel. This requires even more stability as you make your way through an uneven ground. ASICS has definitely taken this into account when creating this trail-running shoe. The high-abrasion rubber outsole is made with multi-surface traction to ensure you don’t slip. It’s a very durable shoe that keeps branches and rocks at bay with the protective bumper. Most importantly for us, these offer great support. 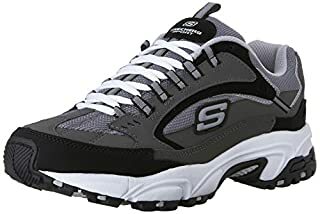 These shoes are firm, which is what you want from a stability shoe. Stability helps alleviate pain in your arches and keeps feet from pronating. The structure of the shoe complements the structure of your foot and corrects for any misalignment or lack of arch support. Some people may find these shoes a bit too stiff. Before you throw in the towel, remember that the firmness factor is what makes these shoes a stable ride. ASICS has attempted to counter the firmness with their famous gel cushioning system. In my opinion, these ASICS have everything you could want in a trail-runner: structural support, excellent traction, and all-day comfort. Saucony pulled out all of the stops for their Omni 13’s. They employ Arch-lock, heel support technologies, and POWERGRID heel-to-toe cushioning to make for an excellent stability shoe. Arch-lock wraps and secures the feet with a lightweight, stretch strap that extends to the eyelets. The mesh upper offers structural support to prevent from pronating, while also adapting to your feet for a snug fit. The heel support begins with the carbon rubber outsole, which provides great traction no matter where you run. It then supports the rear end of your feet with the support frame. Memory foam lines the area around the heel, and, to end, the heel is beveled for a seamless heel-to-toe transition. The POWERGRID cushioning makes these shoes soft on the inside, yet responsive throughout. IBR+ outsole complements POWERGRID by enhancing the cushioning factor. With all of the incredible technology, the shoe clocks in at a mere 10.8 oz., making these some of the lightest shoes you’ll run in. The only problem you may have with the Omni 13’s is the narrow-fit of the shoe. I would suggest trying some on in-store before completely writing them off. The plethora of winning features makes these the best walking shoes for flat feet. Trust me when I say that these are a great investment. Looking for a pair of sneakers to wear on your casual days off hanging out with friends or running errands? Should be easy enough to find, right? Except you have flat feet that require a bit more arch support and stabilizing features. …until you found this list! Believe me, I understand the flat feet woes. Over-pronation, heel pain, and plantar fasciitis are problems that plague many flat footers. In this list of best sneakers for flat feet, I find you the shoes that will fit your inserts comfortably and provide support. The Energy Sneaker from Skechers has a classic sneaker design that’s bound to match any outfit you throw on. It’s a comfortable shoe that provides support in all the right areas for flat feet. A stabilizing outsole and an EVA foam midsole help to relieve pain off the heels. The toe box is roomy which is nice for those of us with wider feet. You can tell the shoe was designed with care and functionality in mind. The collar is well cushioned for softness all around the ankle and a leather upper makes for a clean finish. The upper is made with mesh and toe cap perforations to keep your feet well ventilated. They even implemented a pull heel tab for easy on/off when you’re in a hurry. Even with all this, the shoe remains lightweight. Unfortunately, the insole is glued in. Unless you have thinner orthotics, you’ll have to be okay with the arch support provided. Many users have found the arch support to be adequate. Saucony is best known for making a killer minimal running shoe, but they’ve recently been trying their hand at the casual sneaker. And, boy, did they succeed with the Bullet Sneaker. If you’re a fan of the low-profile retro-look, you’ll love these shoes. The fun yet classic style of these shoes adds just the right amount of funk to any look. Not to mention, they come in a variety of colors to choose from. Nylon and suede make these shoes sturdy and durable. You can expect to wear these for a long while, and you’ll want to! They’re comfortable and lightweight, so you’ll barely worry about your feet while wearing them. A minimal sneaker unfortunately also means minimal support. You will be able to insert your own orthotics though, unlike the last pair. A lot of people also like the fact that these shoes have the magical ability to make larger feet look small. 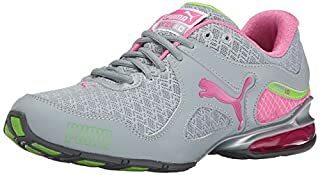 A well-loved shoe brand for years, PUMA has a great sneaker in their Cell Riaze collection made for women with flat feet. The EM Sneaker is well-padded and comfortable throughout. EVA midsole and bubble tech technology provide excellent shock absorption as you walk. They even added additional cushioning throughout the heel to give you plenty of support in a usual problem area for the flat-footed. Rubber outsole provides good traction. The shoe is well-structured providing lateral support to prevent overpronation and arch support for stabilization. A breathable ecoortholite sock liner is implemented inside the shoe to keep the germs at bay. This shoe is more narrow, so my wide footed companions will want to look elsewhere for a sneaker. It’s also important to note that these shoes seem to run a half size smaller than standard sneakers. Other than that, these nice shoes come in a variety of color combinations that I believe many women will enjoy. In the men’s department, Skechers’ Stamino Nuovo offers a well-designed shoe with structured support. The sole of the shoe is where all the magic happens. The insole is cushioned for comfort and removable if you want to use your own inserts. The EVA midsole takes high impact with no problem, absorbing shock with each step. The rubber outsole is flexible while providing high traction. These shoes are also made with a stabilized midfoot design, giving support right where you want it: the arch. No more wobbly, weak, or painful feet. So, you’re sold on the inside of the shoe. Now, what about the outside? Sporty mesh overlays keep your feet cool, while also implementing synthetic leather. These shoes also have the nice pull-on heel loop for access. Perhaps the only flaw some might find with these is that they are too “heavy-duty” for casual wear. But, in my opinion, the sturdier, the better. ASICS has been in the shoe game for a while, so you can expect a great sneaker out of their warehouse. The GEL-contend 3 has a lot to offer for flat, wide feet. Full-length GEL cushioning lines the inside making for a soft step. The sock liner is removable to accommodate orthotics. Many find that the arch support provided within the shoe adequate. These shoes also have a shock-absorbing midsole and a tough rubber outsole for traction. Many users claim that wearing these shoes is like walking on clouds because of how lightweight they are. A roomy toe box accommodates wide feet nicely. Mesh weave underlays means breathability throughout the shoe. The shoe’s design is fairly basic, with greyscale color options. There are a couple of styles with pops of red or yellow on the upper. The only thing they could’ve done better on is the laces- some users may find they’re too short. New Balance seems to make almost every “top product” list we write about shoes for flat feet, and for a good reason. They are a trusted brand known for creating shoes to support every type of foot. They really put comfort at a premium for this model. Unlike the rest on this list, these shoes have a memory foam insole for maximum comfort. This is paired with an IMEVA midsole, which gives a perfect balance of firmness plus flexibility. Together with the rubber outsole, you get New Balance’s signature ABZORB cushioning. The collar of the shoe implements dual-density foam. A soft-density foam stays soft against your feet, while a firm-density foam adds support. These shoes win in affordability, but what you keep in savings, you may lose in quality. With regular, light use for those casual days, these should last you a significant amount of time. But perhaps don’t expect these shoes to last you years. In our professional lives, we all want to put our best foot forward. Shoes are a key component of our appearance. As the saying goes, “always judge a man by his shoes”. However, what to do if you’re one of the roughly 30% of the population with flat feet? Are you prone to over-pronating your ankle? If so, finding the best work shoes for flat feet can be a bit of a dilemma. In this article, you’ll find a selection of shoes that have been given the thumbs-up by people who need that extra support when choosing their shoes to wear for work. 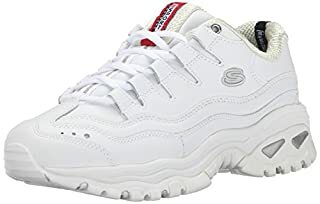 Skechers designed the Work Women’s Soft Stride Softie Lace-up sneakers with those people who spend all day on their feet in mind. In a neutral lace-up style, they’re made with a soft, flexible leather upper and are extremely comfortable due to the superior cushioning of the Removable PU comfort insoles. If you’re flat footed, they’re particularly good because they’re roomy enough to add your own orthotic inserts if necessary. Breathable paneling helps keep feet well aired and healthy. Tough, OSHA compliant slip resistant rubber soles provide peace of mind and, despite being lightweight; these shoes provide robust ankle stabilization. This helps support the arch of the foot and that minimizes the risk of injury, which certainly works in their favor. These shoes go with most professional outfits - at a pinch, you might even get away with wearing them with a suit, if you’re brave enough to wear sneakers to the office! In my opinion, they’re a serious contender if you’re scouting out great work shoes for flat feet. 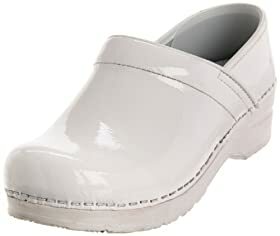 It could be argued that the Sanita Women’s Professional Celina Clogs are the classic work shoes for flat feet for women. With their timeless Danish design, and ASTM certified to ensure the highest quality possible, these stylish leather clogs are made for longevity and durability. If you suffer from the pain that flat feet can often cause, your feet will thank you for the relief provided by the anatomically shaped footbeds and padded insteps. In fact, The Celina Clogs are so well designed; they’ve been awarded a seal of acceptance from the American Podiatric Medical Association for the long lasting support that they give. The Celina Clogs are also reassuring to wear as, being oil resistant, they are easy to wipe clean and the synthetic sole is completely slip resistant. I’m a massive fan of these. They’re shoes I know I can rely on and trust when my flat feet are making me feeling weary and tired. So if you find that shoes with more arch support work well for you, you should definitely check out the Sanita Women’s Professional Celina Clog. Personally, I can’t recommend them highly enough. As the name suggests, Keen Utility Women’s Flint Low Work Shoes are pretty intense, high-spec footwear. If you need a pair of working shoes for flat feet that deliver on quality design and high-tech materials, then take a look at these. Torsional stability shank (TSS) is a plus for flat feet because it helps to anchor the foot and reduce overpronation of the ankle. The midsole is made of compression molded ethylene vinyl acetate, which is great for a bounce, and there’s ample cushioning. These both work hard to counteract the effects of flat feet. Left and right asymmetrical steel toes, rubber soles, Nubuck waterproof leather uppers and the slightest hint of girly pink, complete the package. 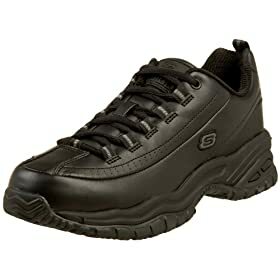 It’s hard not to be impressed by the attention and care that’s gone into the KEEN Utility Women’s Flint Low Work Shoe. If you’re after a pair of work shoes for flat feet for women that look both rugged and athletic, while at the same time giving your feet some serious love, then these might your perfect match. 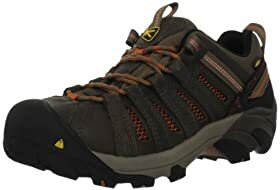 The KEEN Utility Men’s Flint Low Steel Toe Work Shoe are work shoes for flat feet for men that won’t let you down. The attention to detail on these shoes is phenomenal - it’s evident from the non-marking outsoles down to the fact that these shoes even provide electrical hazard protection! If you are looking for some heavy-duty bang for your buck, it would take some looking to find a better pair of working shoes for flat feet. 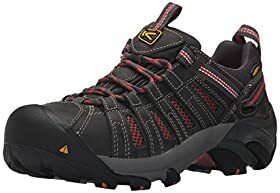 It’s clear that the whole design focus of these shoes is about providing excellent support - it feels inherent in the torsion stability shanks, the steel toes, the lugged rubber soles and in the way arches are bolstered by the insteps. If you’re someone who worries about wearing heavy-duty sneakers on a hot day, the breathable mesh panels will keep your feet cool. KEEN’s Utility Men’s Flint Low Steel Toe Work shoes are another exceptional offering from this brand. When you put them on, you know that by wearing them, your flat feet won’t be giving you any grief as you go about your day. Clarks Unstructured Men’s Un.Ravel Casual Oxford lace-up shoes marry class with comfort. Clarks achieve this through the use of natural materials: lambskin lining, with reduced stitching for blister prevention, vegetable tanned leather footbeds and high-quality leather uppers. Perhaps more importantly, though, if you’re plagued by flat feet, is the fact that despite their relaxed feel, they provide excellent support. People report that walking around in them is an actively pleasant experience, even with the challenge of flat feet. It’s hard to assess exactly what makes these such special work shoes for flat feet for men, but perhaps it's done with the combination of excellent craftsmanship, the quality of materials used and the effective Air Circulation System (ACS) which keep feet cool even if the temperature soars. 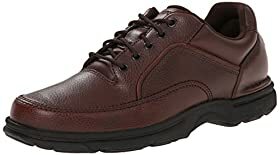 If you spend a lot of time on your feet and want to feel confident you can wear these in situations where you’re required to look smart, these shoes are in that category. Clarks have produced a great pair of shoes that are long lasting and provide real, affordable comfort. Rockport has created a biomechanically designed shoe that provides stability without limiting your freedom of movement. These shoes incorporate Strobel Construction Build to ensure forefoot flexibility and they’re made to be shock absorbing - which is great when nature’s shock absorbers (the arches of your feet) aren’t functioning as well as they could be. So if your flat feet cause you pain but you don’t want to feel as if you’re encased in concrete boots, these shoes might be a wise choice for you. The grip of the sole is durable. Both the tongue and collar are well padded, which is a small but important detail that’s often overlooked. Overall, this leather lace-up shoe is a great all-rounder. You can wear them for a variety of occasions, ranging from important professional meetings to barbecues with friends. If you need shoes that support your arches but are also comfortable, these will keep your feet feeling relaxed and pain-free. There are some key features you need to be looking out for when buying best shoes for flat feet. In general, you’ll want a shoe that is supportive all the way around the foot, but especially in the arch area. Look for shoes that will help realign your joints and increase ankle strength. When most people think of fixing flat feet, they immediately think “Orthotic arch supports.” Don’t get me wrong; this is definitely important and helpful in molding the arch of the foot. But when you’re looking for a shoe, you’ll actually want to focus more on the upper. Most insoles that you’ll come across in any shoe will be of a standard type, meaning it’ll be of average arch support. Most shoe companies know that if you need extra support, you’ll add your own ﻿orthotics﻿ in. This is why you’ll definitely want to look for shoes with removable insoles. Where shoe companies really shine is in the overall design of the shoe. If done correctly, shoes are crafted to support your feet in a holistic manner. An upper that provides excellent lateral support through meticulously designed technologies can make a huge difference. Shoe companies will go about adding lateral support in different ways. One example is the wrapping cradle design of the Salomon Speedcross 3’s. The design lifts the lateral sides of the feet to help prevent pronating. Look for features like this. Shoe designers also shine with the outer and mid-sole of the shoe. Look for shoes that distribute your weight evenly across the feet. The shock-absorption factor is key in the making of the sole of the shoe. Running is a high-impact activity that causes a lot of stress on your joints. Look for soles that are made with the best technologies to absorb as much impact as possible. Firmness is extremely important as well. A high level of firmness goes a long way in making the durability of the shoe last and tells a lot about how supportive the shoe will be. You don’t want a shoe that is going to be twisting and turning all over the place. With that, you'll realize how important cushioning is. Soft, plush cushion on the inside of the shoe will help mask the stiffness. Look for a nice balance of firmness and comfort when trying on shoes. Shoes are some of the most important investments you can make. When you invest in a pair of good shoes for flat feet, you’re actually investing in strong, happy feet. Strong feet then cause a chain reaction, improving your posture, alleviating back pain, and even improving your quality of life. Peace of feet = peace of mind.